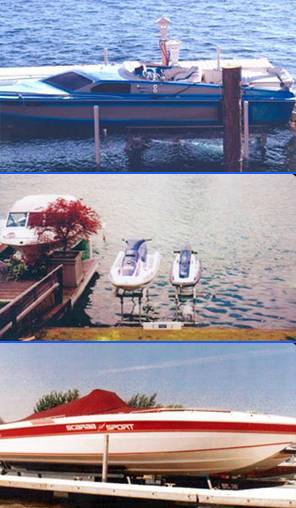 Hydraulic Boat Lifts, Hydraulic Lifts | Aqua-Lift, Inc.
Aqua-Lift® builds 11 different sizes of hydraulic boat lifts to fit boats ranging from 12- to 40-feet long and weighing up to 6 tons. All of our components are made to last as they are constructed using strong, corrosion-resistant materials. For more information about our hydraulic lifts, reach out to us in Tacoma, Washington. *Anything larger than 12,000 pounds can be built to specifications as a factory special order. *If your lift is to be installed in water which fluctuates more than 2 feet with tidal changes, you will need the additional depth handling of an XL series.